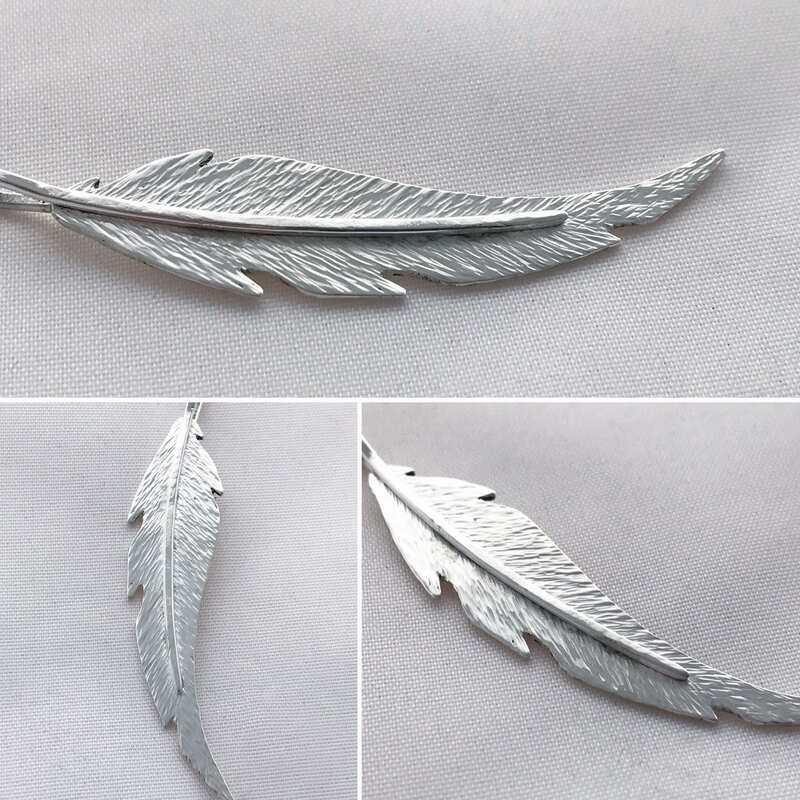 A single solid Sterling Silver feather, unique in all the world. 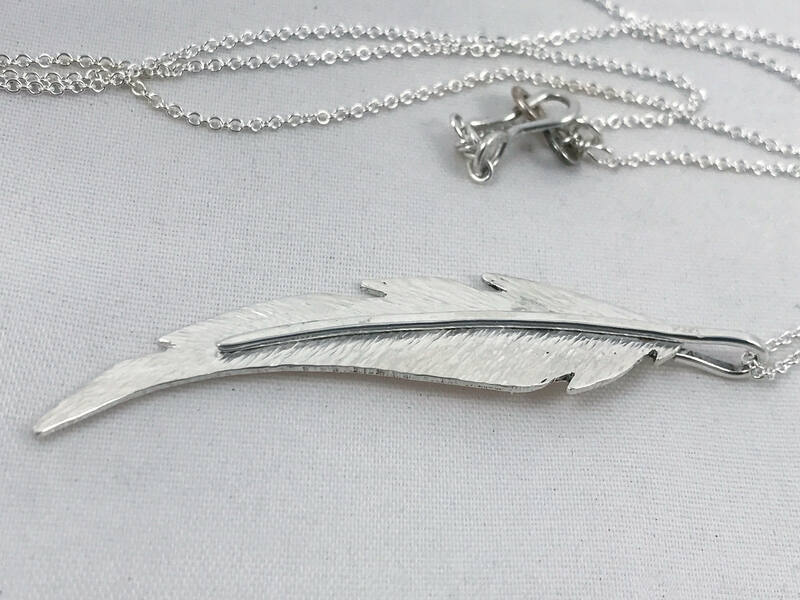 Gingerly hand sawn out of solid 20 gauge Sterling silver sheet, meticulously cut and filed, carefully hammer textured and then soldered and polished to be a one of a kind feather that can never be exactly duplicated. 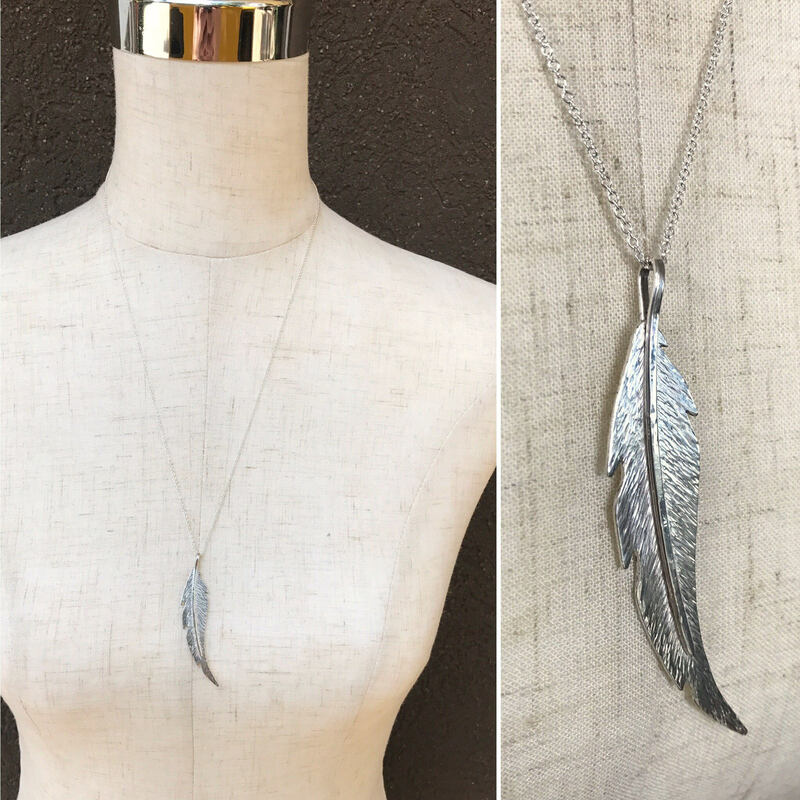 There is something so special about it's uniqueness, it's un-replicatable-ness, just like a real feather, it is entirely it's own. This necklace is made to order, the one shown in the photos is sold. 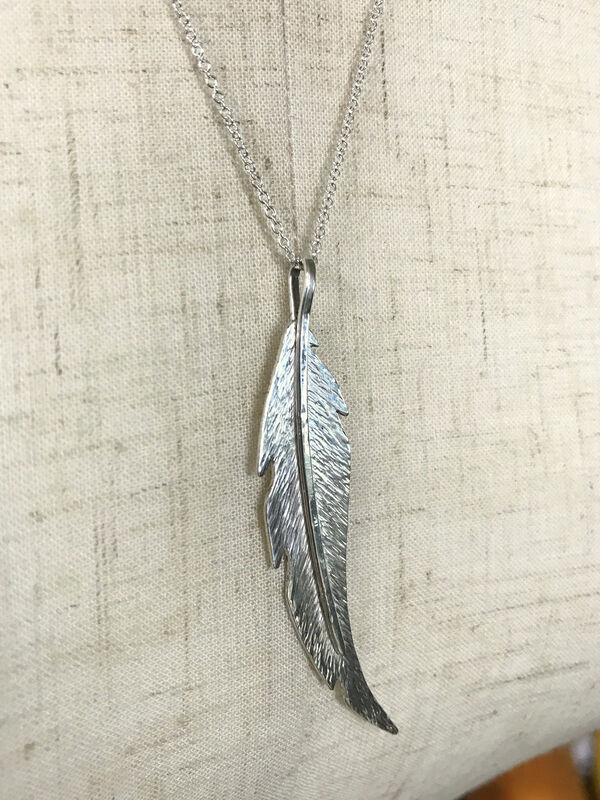 Your feather will be uniquely hand forged for you with it's own nuances while remaining true to the design shown, with your choice of chain length. 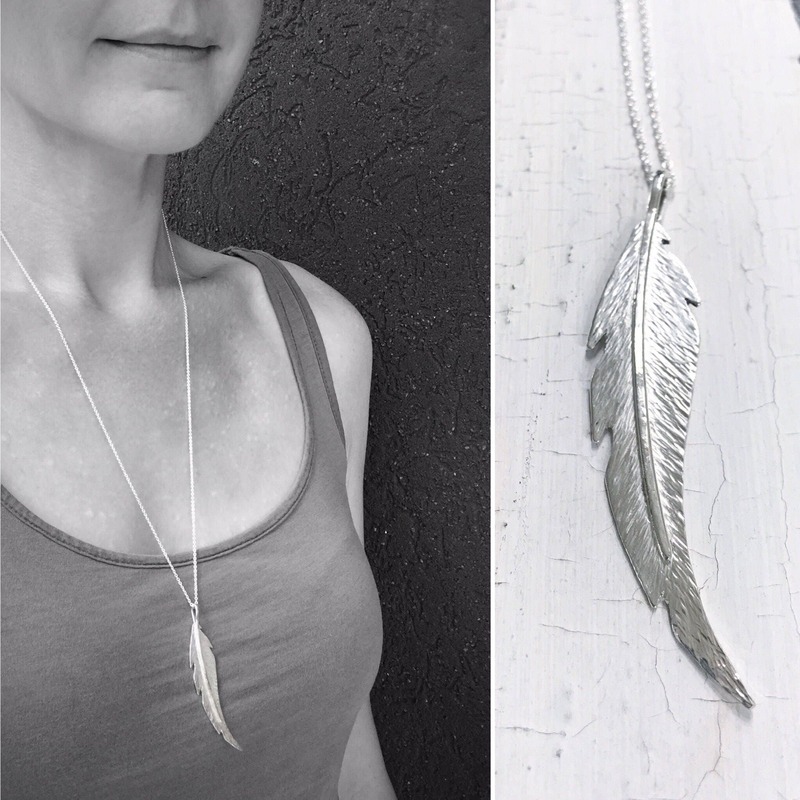 -Feather is hand sawn and hand forged out of solid sterling silver 20 gauge sheet (It is 1mm thick when completed). It is not bulky but it is not bendy either, it's a nice solid pendant. 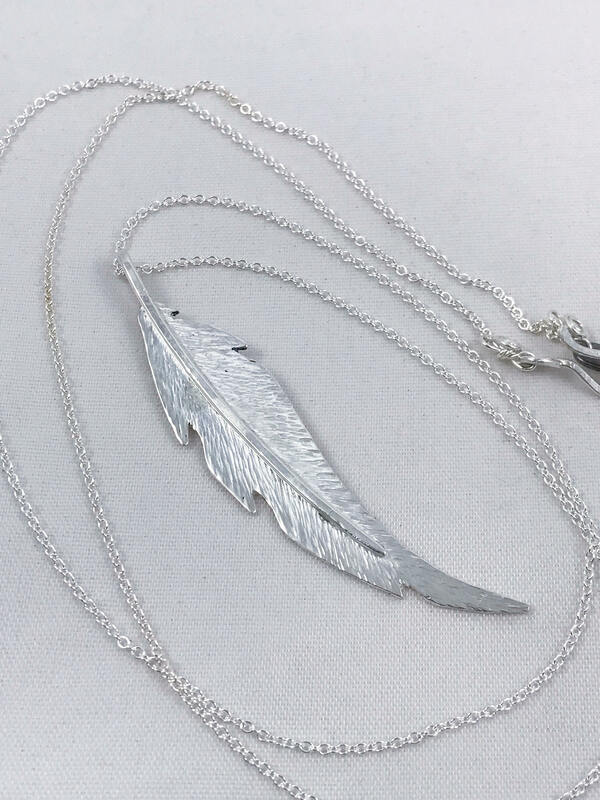 -Feather stem is hand formed of solid sterling silver 16 gauge wire and soldered securely into the design. 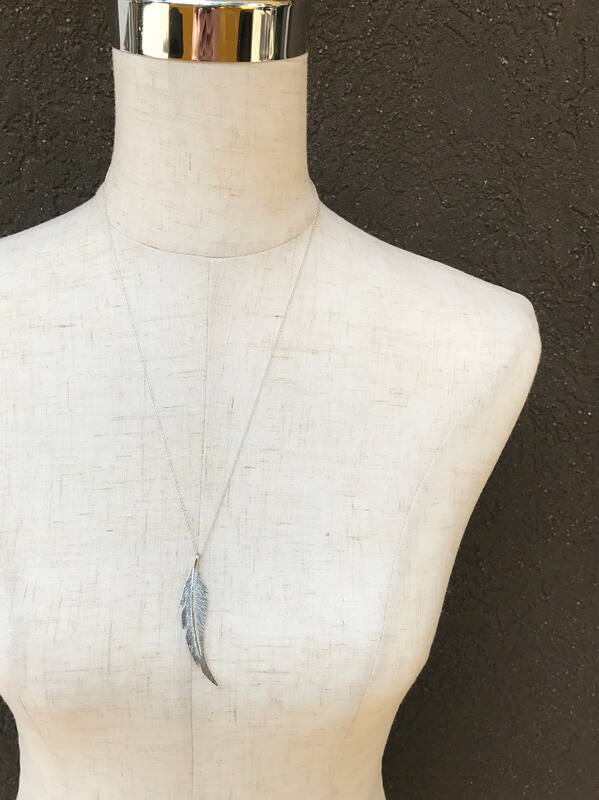 -Pendant measures 53mm (just over 2") in length (not including the top loop which adds about 1/4"), and 13mm (1/2") in width. (please expect very slight variations as these are entirely hand forged). 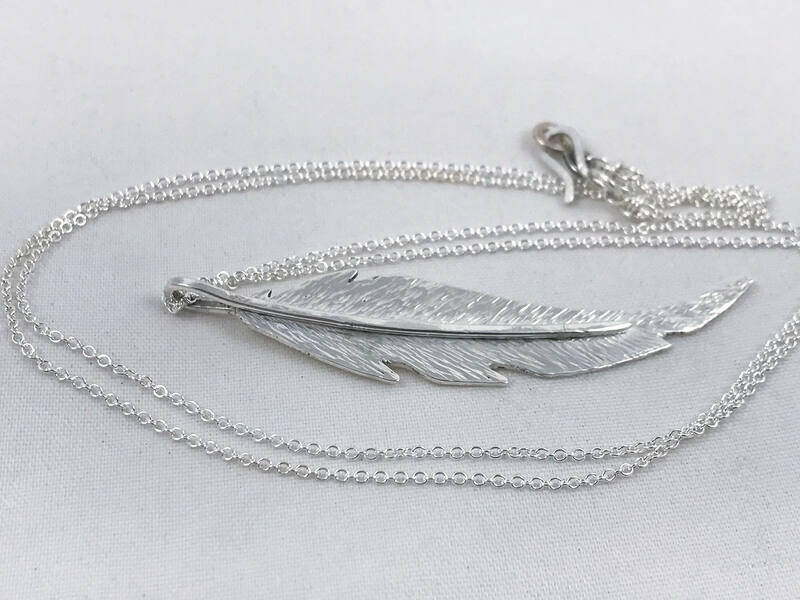 -Chain is solid sterling silver 1.1mm cable chain. It looks delicate but is quite strong. -Your choice of hammered hook and loop clasp (shown in photos) or small spring ring clasp. -Choose your desired chain length from the drop down menu. 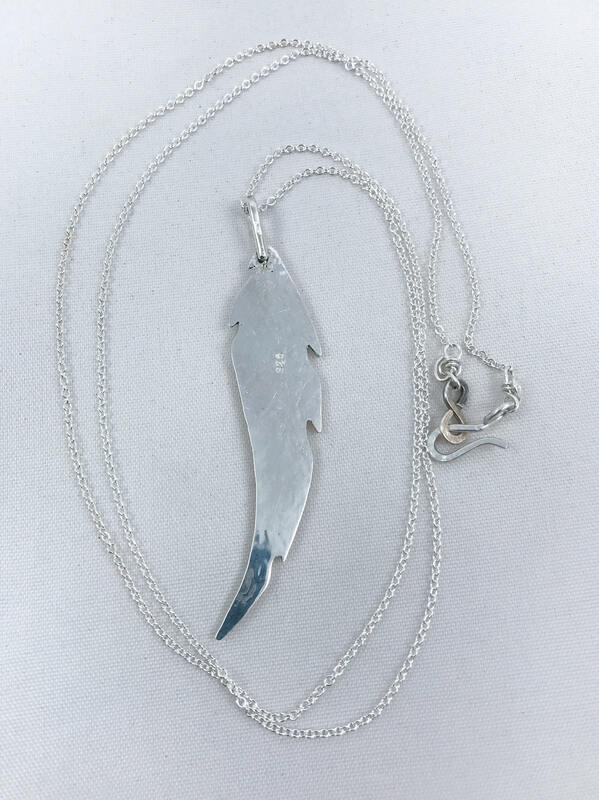 (Necklace in photos is 24" chain length). 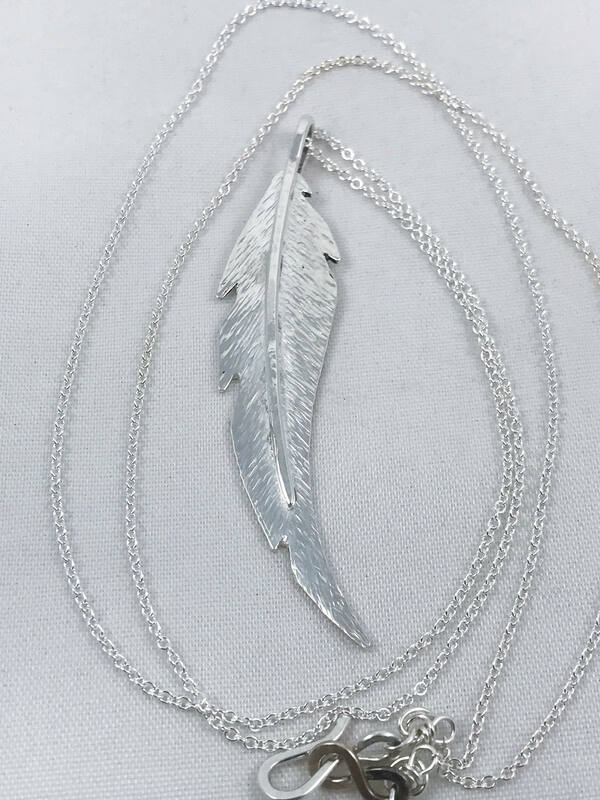 This necklace is fabulous! Klee is such an amazing artist and I love every piece of jewelry I've bought from her (& I've bought way more than I should!). She takes such care with her pieces and you can tell that her heart goes into each one. Thanks so much, Klee. You know I'll be back.